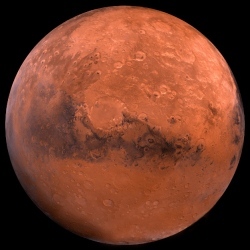 This "Time Capsule for Mars" project is led by a group of university students. The plan is to put out a worldwide call to over 10 million people to send in their voice messages, photos, video clips, and text to go into three small Cubesats. The Cubesats will be launched towards Mars via an ion electrospray propulsion system created by MIT’s Space Propulsion Lab. The students hope to develop new technologies for the mission, including inflatable antennae and radiation sensors. The students already have the support of some heavy hitters, like astronauts Buzz Aldrin, Charlie Precourt and Kent Rominger, who all act as project advisors. The students are also receiving aid from NASA, Boeing, Lockheed Martin and Explore Mars. Although the mission is expected to cost about $25 million, the students hope to raise funds through crowdfunding: they’ll charge $.99 for each upload in the developed world, with third-party countries getting free uploads, paid for by project sponsorships. The idea is for everyone to have the opportunity to send their messages to Mars.